From Goodreads: A mysterious island. An abandoned orphanage. And a strange collection of very curious photographs. It all waits to be discovered in Miss Peregrine's Home for Peculiar Children, an unforgettable novel that mixes fiction and photography in a thrilling reading experience. As our story opens, a horrific family tragedy sets sixteen-year-old Jacob journeying to a remote island off the coast of Wales, where he discovers the crumbling ruins of Miss Peregrine's Home for Peculiar Children. As Jacob explores its abandoned bedrooms and hallways, it becomes clear that the children who once lived here - one of whom was his own grandfather - were more than just peculiar. They may have been dangerous. They may have been quarantined on a desolate island for good reason. And somehow - impossible though it seems - they may still be alive. Thoughts: This book came from my Books from Other Blogs list. On the whole, I enjoyed it - took me just over 24 hours to read and had more than enough to keep me turning the pages. I've read reviews that compared it to the X-Men and it's easy to see where the comparison comes from - secret school/ house for children who are different, displaying strange gifts such as levitation, incredible strength, controlling fire and invisibility. However I do think the direction Riggs takes the story in is very different from the X-Men story. Riggs has constructed the story in such a way that it's very easy to keep turning the pages - what happens next? Why did that just happen? His vague construction of Jake's family left me feeling slightly frustrated, but I think it portrayed the distance Jake himself felt from his parents. I loved the use of photos in the book and was thrilled to discover that they were actual photos. I love the idea of an author seeing a photo that interests them and building the story around it - something I've frequently done myself in my own head. 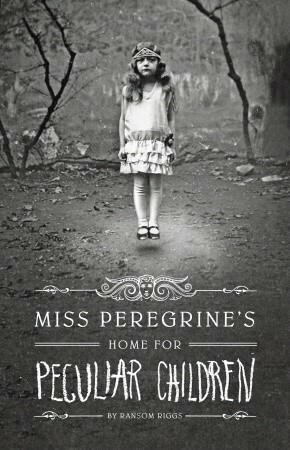 On the whole I enjoyed this book and look forward to seeing where Riggs takes the peculiar children next - a whole new adventure obviously awaits them!